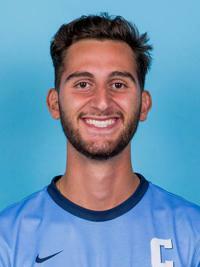 Vana Markarian is a Center Back/Holding Midfielder entering his Junior year at Columbia, where he is coached by Kevin Anderson. This native of Ottawa, Ontario measures in at 6'2", 170 lbs. In 2017, he played in 17 games with 16 starts. During this season, he had 1 goal and 1 assist for a total of 3 points. In 2016, he played in 14 games with 14 starts. During this season, he had 2 goals and 1 assist for a total of 5 points.